Mansur Sefatgol (1961, Zabol. Iran). Was born in Zabol, a city in the Sistan and Balouchestan province , south eastern Iran, where he spent the early life and then moved to city of Mashhad to continue his study. He received his BA , from the University of Mashhad, MA at the Teacher university of Tehran and Ph.D at University of Tehran(1999) . he started to teach at the department of history, faculty of Humainties, university of Tehran at 1993. His main filed research is the history of Iran, 16th to the `8th centuries including the subjects such as social and political history of Iran under the Safavid rule(1507-1736), history of religious thought and institution during this period, Persian historical writing from the outset to the present times and source materials and archival studies on the early modern history of Iran. 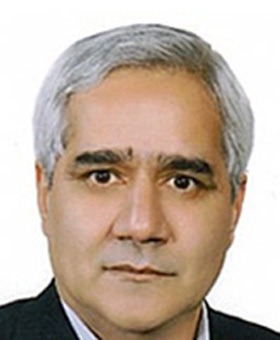 He has been published books and articles on the various aspects of the Iranian history in Persain and English, including: Religious Thought and Institution During the Safavid Iran(History of the development of the Safavid religious Structure in Iran 16th to18th centuries)(in Persian), first edition,2002. Reprinted, 2010. / The rise and Fall of the Safavids,2011, reprinted 2012./ `Eterafnama, the Diary of Ali Akbar, an Iranian Armenian convert to Islam during the Last years of the Safavid rule,(Tehran, 2010),/ (ed. ), Mer`ate Waredat;History of Safavid Collapse in the 18th century written by Muhamad Shafi`-e Tehrani( Tehran, 2004)/ Shajarat al-Muluk ,Local history of Sistan from the Ancient Times to the early yaers of the Qajar rule. (Tehran, 2009)/ Qum in the Great Famine , (with collaboration to Professor John Gurney) (Qum, 2008). Also he is author of many articles in Persian and English including : “ Persian historical writing under the last Safavids: the historiographers of decline,” in Eurasian Studies, No.1-2(2006).pp.319-333;/ “ Mullabashi” , Encyclopaedia of Islam and the Muslim World, McMillan, USA.2004;/ “ Rethinking Safavid Iran(907-1148/1501-1736): Cultural and Political Identity of Iranian Society during the Safavid Period,” Journal of Asian and African Studies,(ILCAA), Vol.72.2006. ;/ “ The situation of Awqaf under the last Safavid(1666-1736/1077-1148),” Proceeding of the Third Safavid Round Table . Edinburgh University, Brill, 2003;/ “ Majmo`eha: an important and unknown sources of historiography of Iran during the last Safavids: the case of Majmo`e-ye Mirza Mo1ina,” Persian Documents, ed., Kondo Nubuaki, 2003.
efatgol participated at many international conferences in Europe, America, Japan and received researchgrants from the universities such as University of Bristol, Britain, where he became visiting professor between 1999 to 2000. He is a member of editorial board of the domestic and International academic journals including: International Journal of Asian Studies (Tobon Ken, University of Tokyo) published by the Cambridge University Press ; Der Islam,published by Berlin University, Germany. Also he is chief editor of the Journal of the Historical Sciences Studies published by the department of history, University of Tehran, Iran. His first visit to the ILCAA was in the year 2005-2006, when the research institute for languages and cultures of Asia and Africa kindly offered him the position of visiting professor for one year. Thanks to the academic environment and research facilities of ILCAA, he was able to continue his study on the Persian Archival source material in which provided by the Japan scholars and preserved at Toyo Bunko. As a joint research he, with the collaboration of Professor Kondo Nubuaki of ILCAA, investigated part of the Persian epistles belonging to the St. Petersburg Oriental Archive(Russia) . the result of this study has been published by ILCAA as: Persian Historical Epistles from Iran and Mawara an- nahr, the Safavids, the Uzbeks, and the Mangits, with an edition of selected epistles. Mansur Sefatgol(university of Tehran), Collaborated with Kondo Nubuaki(ILCAA), Research Institute for Languages and Cultures of Asia and Africa, Tokyo University of Foreign Studies, Tokyo, 2006). ILCAA has offered him this position for the second time in which started from the 1 September, 2012 and will take until the end of July, 2013. His aim for this round is to study the process of the Persian Historical writing in the Central Asia between 16th to 18th centuries and provide a critical edition of the most important history of Mangit dynasty, i.e, Tarikh-e Rahimkhani (History of Rahim Khan).